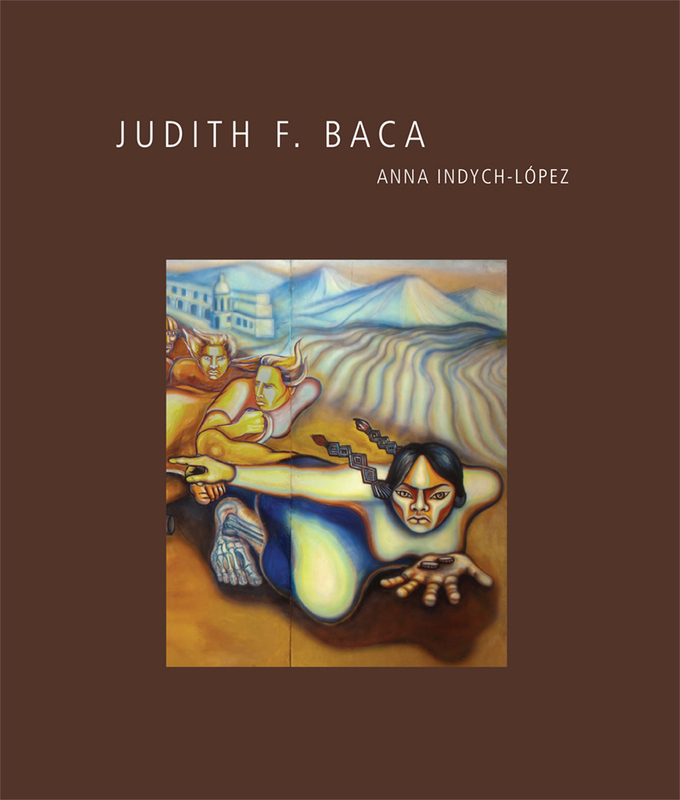 Judith F. Baca is best known for The Great Wall of Los Angeles (1976–83), a vibrant 2,740-foot mural in Los Angeles that presents an alternative history of California, one that focuses on the contributions of marginalized and underrepresented communities. The mural is representative of Baca’s pioneering approach to creating public art, in which members of the community are essential contributors to the conception and realization of the work. Anna Indych-López explores Baca’s oeuvre, from early murals created with gang members to the creation of the Great Wall to more recently commissioned works. Indych-López assesses what she calls Baca’s “public art of contestation” and discusses how ideas of collaboration and authorship and issues of race, class, and gender have influenced and sustained Baca’s art practice. "Judith F. Baca has perfected a process of community participation, narrative practice, and large-scale imagery and technical advancement that she initiated while running the Citywide Mural Program in the 1970s. This book, long overdue, gives us insight into how Baca's traits of curiosity, problem solving, and passionate inquiry have served her goal of justice through the arts."